Since making her feature-film debut at 21, the SoCal native has not only captivated millions on the big screen but has also become a role model as an advocate for education, the environment and the empowerment of women and girls. In her recently released The Body Book: The Law of Hunger, the Science of Strength, and Other Ways to Love Your Amazing Body, Diaz shares her own journey of learning about nutrition, exercise and the mind/body connection. She discusses and signs copies of the book tonight, so if you've always admired how fit the actress appears, now's your chance to hear her formula on staying healthy. If you've yet to see the L.A. fivesome led by Django and Sam Stewart (sons of Dave Stewart and Siobhan Fahey), you should definitely check them out while you can at venues as intimate as the Bootleg. They just released a video for the catchy "Blackbird Smile" off their Simple EP and are set to release their debut full-length via Capitol Records later this year, so you can bet you'll be hearing about the rockers in the months to come. It's only fitting that an iconic L.A. band like the Eagles inaugurate the new and improved Forum with over a week full of shows. 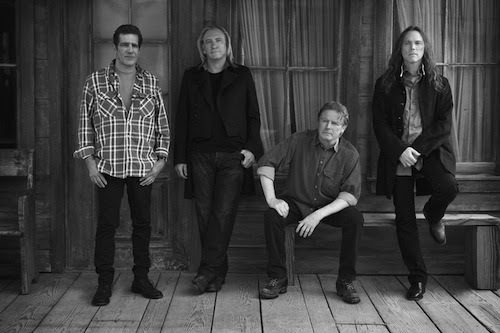 Beginning last Wednesday and continuing tonight, Jan. 18, 22, 24 and 25, the prolific foursome of Glenn Frey, Don Henley, Joe Walsh and Timothy B. Schmit takeover the reinvented venue with their History of the Eagles tour. Songs from the entirety of their 40-year career are included in each night's setlist, even some that have never been performed in concert. Beware of belting out the lyrics to "Witchy Woman," "Lyin' Eyes," "Heartache Tonight" and, of course, "Hotel California" too loud at the show, or you might not have a voice tomorrow. Ben Blacker (co-creator of "The Thrilling Adventure Hour" and writer for "Supah Ninjas," "Supernatural") moderates a series of talks with professional writers of television, film, comic books, music and novels about their process and the business in general at the NerdMelt Showroom housed at Meltdown Comics. This afternoon's chat is with TV writer/producer Bryan Fuller, the mind behind amazing programs like "Hannibal," "Pushing Daisies" and "Dead Like Me." The self-professed Star Trek geek has also worked on shows like "Star Trek: Voyager," "Heroes" and "Star Trek: Deep Space Nine." It should be interested to learn about Fuller's writing process and his views on the entertainment business as well. The biggest parade in the country honoring Martin Luther King, Jr. kicks off at 9:30 a.m. today at the intersection of Martin Luther King Jr. Boulevard and Western Avenue in South Los Angeles. Presented by the Congress of Racial Equality of California, the parade draws thousands of people with floats, celebrity guests, equestrian and other community groups, and marching bands. Pay tribute to Dr. King's life and legacy by taking part in the festivities. Today is the first opportunity you have to take advantage of the special prix-fixe lunch and dinner menus offered by some of the city's best restaurants over the course of 12 days (running through Jan. 31). Lunch prices range from $15, $20 to $25, while dinner costs $25 through $85. Why not venture to a different neighborhood for a day of food exploration? 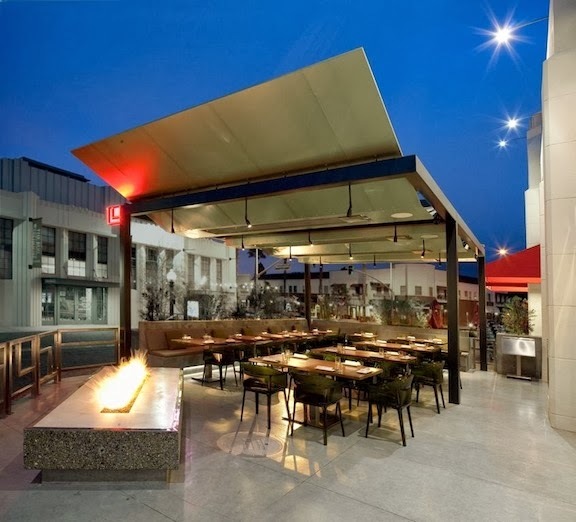 You could hit Downtown for lunch at Aburiya Toranoko and dinner at Mo-chica; Culver City for lunch at Ford's Filling Station and dinner at Lukshon (pictured to the right); Silver Lake for lunch at Mohawk Bend and dinner at Black Hogg. Or, why not try a restaurant that is normally a bit over your price range, like Bouchon, Patina, Spago or Melisse? The options are endless. Angelenos are lucky that the pop star has graced SoCal with several stops on The 20/20 Experience world tour. He actually brings the tour to a close at the Staples Center on Aug. 12, but before then, he gives the recently reopened Forum stage a run for its money. The concert promises flashy lights, lasers and choreography, but the real main attraction is JT's own showmanship. He can dance and sing like no other, and if you haven't seen him live, what are you waiting for? I saw the L.A. trio perform at Echo Park Rising over the summer, and their ferocious energy and style captured my attention. They release a third full-length, Badillac, today and celebrate with a release show at the Smell this evening before heading out across the country in support of the album. Give tracks like "Offer" and "Cat Man" a spin, and you're curiosity will be piqued just like mine.